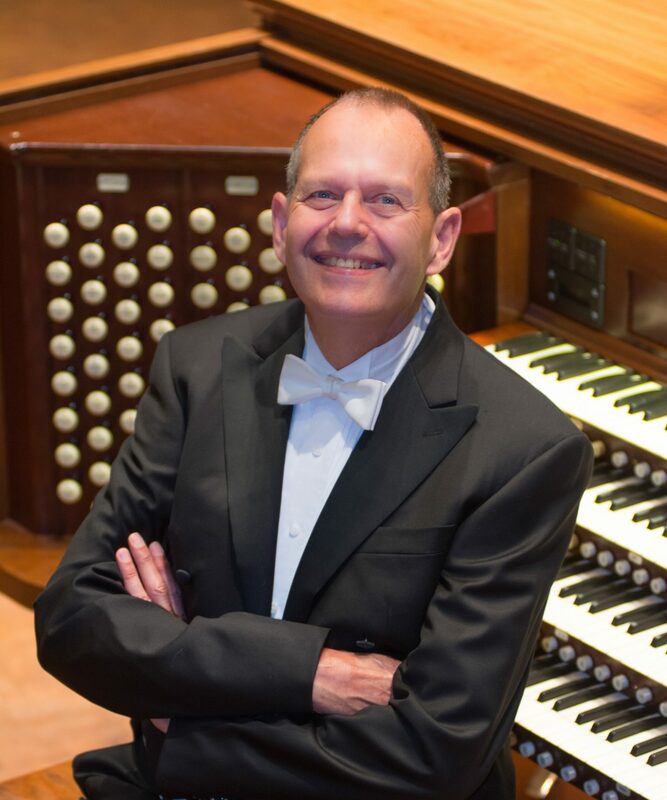 James Kibbie is professor and chair of the Organ Department and university organist at the University of Michigan. He also maintains a full schedule of concert, recording, and festival engagements throughout North America and Europe, including appearances at the Cathedral of Notre Dame in Paris, Royal Festival Hall in London, Dvořak Hall in Prague, and Lincoln Center in New York. During Kibbie’s month-long concert tour of the Soviet Union in 1991, Pravda hailed him as “a marvelous organist, a brilliant interpreter.” A frequent jury member of international organ competitions, he has himself been awarded the Grand Prix d’Interprétation at the prestigious International Organ Competition of Chartres, France, and is also the only American to have won the International Organ Competition of the Prague Spring Festival in Czechoslovakia. Kibbie’s performances have been broadcast on radio and television in the U.S., Canada, and Europe. His extensive discography includes Merrily on Hill recorded on the famed Skinner organ in Hill Auditorium, Ann Arbor; the complete Clavierübung III by Bach recorded on the Létourneau organs of the Cathedral of St. Catharines, Ontario, Canada; works of Dieterich Buxtehude performed on the historic 1687 Schnitger organ of Norden, Germany; and discs of music by Franck, Alain, Tournemire, Sowande, Buck, Morrison, and 20th-century Czech composers. Kibbie’s “audio holiday cards,” recorded on the Létourneau organ in his residence and issued as free Internet downloads, are a popular annual tradition. Kibbie is internationally renowned as an authority on the organ music of Johann Sebastian Bach. He has performed the complete cycle of Bach organ works in a series of eighteen recitals and is in constant demand as a Bach recitalist and clinician. His recent recordings of the complete Bach works on historic baroque organs in Germany have been welcomed with enthusiastic critical and audience acclaim. Thanks to generous support from Dr. Barbara Furin Sloat in honor of J. Barry Sloat, U-M is offering Kibbie’s recordings of all 274 Bach works as free Internet downloads on the Block M Records website. Kibbie’s students perform frequently in concerts, competitions, and workshops in the U.S. and abroad. His former students hold key positions in college teaching and church music nationally. Among the honors he has received, Kibbie is particularly proud of the James Kibbie Scholarship, endowed in 2004 by former students, family, and friends to support students majoring in organ performance and church music.